If you are looking for information on the The Service Source Shipping and Freight franchise business opportunity, Service Source Shipping and Freight franchises or DHL Express service franchising, then you have come to the right place. Introducing a franchise opportunity that gives you tremendous freedom and potential. The initial investment is reasonable. And best of all, you will be taking control of your career, financial future, and lifestyle, with a residual income business. The worldwide globalization of commerce is occurring at breakneck speeds. As a Service Source franchise owner, you will have the opportunity to reap the rewards of the global movement of packages by the world's leader, DHL Express. Business-to-Business Sales: As a Service Source franchise owner, you will own the right to resell DHL Express services, and Less than Truck Load (LTL) shipments within a set territory that averages at least 60,000 businesses. Your target customers generally use FedEx, UPS or LTL shippers and are usually paying premium prices. As a Selling Partner of DHL Express, The Service Source has negotiated deep discounts with DHL. As a franchisee, you will offer discounted rates resulting in substantial savings to your customers. Residual Income Business: Your role as a franchisee is to convert customers from FedEx or UPS or their current freight provider. Every time your customer ships a package, you make money. Benefit to Franchisees: Did you know that the freight industry is a $600 billion dollar industry? Our goal is to simplify the process for customers who move Less than Truck Load (LTL) shipments, while providing discounts that they otherwise could not receive with their own volume. excellent revenue avenue for our franchisees. We offer a premium online freight tool called QuickFreight for our customer's LTL shipping. QuickFreight is a one-stop solution for quoting, booking, tracking and freight management all from a customer's workstation. Lifestyle Benefits: One of the terrific benefits our Service Source franchise owners enjoy is primarily calling on prospects and customers during general business hours, weekdays only. This will enable you to spend your evenings, weekends, and holidays any way you want. Huge Market: The United States express and freight market alone exceeds $400 Billion in shipping. Currently FedEx and UPS have more than 85% share. This presents a tremendous opportunity for The Service Source franchisee. Low Overhead: There's no storefront to maintain. No inventory to carry. Most franchisees begin working from their home offices. Initial Training: Our comprehensive franchise training program consists of five days of extensive classroom training at our corporate headquarters. The training curriculum provides clear and concise content to ensure all facets of your business are well understood. Continuous Training: You will have the opportunity to attend monthly web based training sessions and conference calls with Senior Management, home office staff, and other franchisees to learn and share best practices. 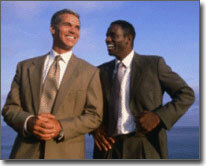 Support System: We provide a highly experienced Support Staff from our corporate headquarters. You will have continuous real time access to your designated support team that will provide the resources to help insure your success. The Service Source is a valued selling partner for DHL Worldwide Express, the largest transportation and logistics company in the world. The Service Source has been providing discounted rates and superior customer service in the overnight shipping business since 1995. The Service Source is a two time Inc 500 Company recognized as one of the 500 fastest growing private companies in America. The Service Source Senior Leadership Team has over 50 years of combined experience in the transportation business, currently serving over 6000 unique customers in 48 states. For more than 35 years, DHL has built the world's premier global delivery network. 220 countries and territories later, DHL is the global market leader of the international express and logistics industry. 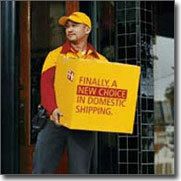 DHL specializes in providing customers with innovative and customized transportation solutions from a single source. Worldwide name recognition with DHL Express.